Visit Our Torrance Dental Center Location! Dental implants are an excellent, popular, and effective long-term option for restoring your smile by replacing missing teeth. 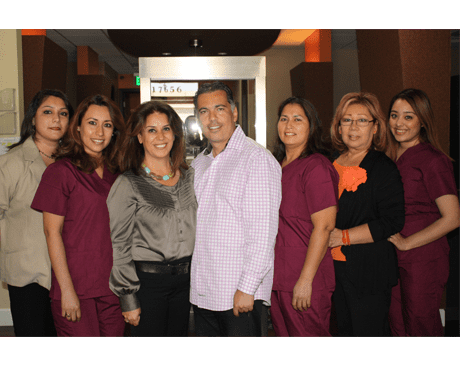 Dr. Kamran Rafie and the staff at Granada Hills Dental Group in Granada Hills, California strive to improve your smile and the smiles of your entire family while eliminating the stress that can come with visiting the dentist. "It's amazing to find competent, caring, professional doctors, assistant and staff." "Professional, friendly, clean, and as modern as you can get." "They are very caring and thorough. Their gentle touch puts anybody at ease." "I cannot praise the results enough. I can't stop smiling." "The staff here is extremely welcoming and friendly. The office is beautiful."